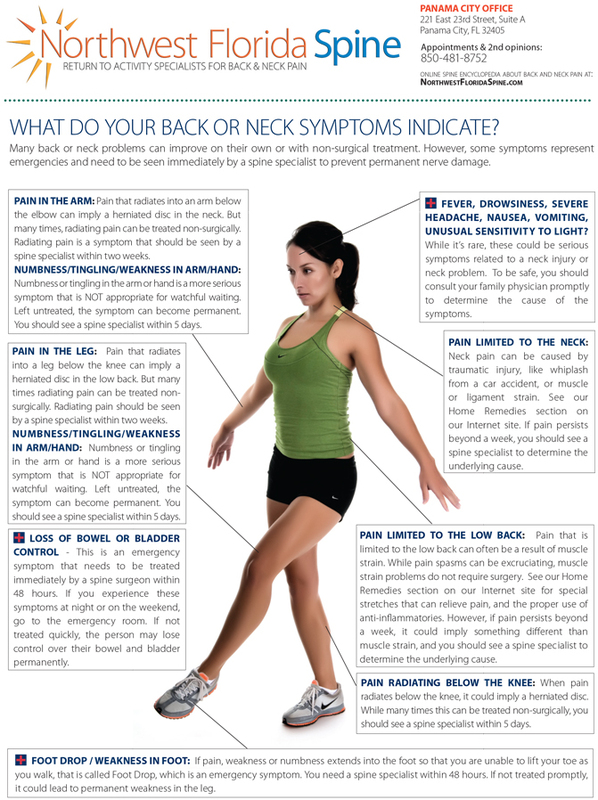 Northwest Florida Spine includes the expertise of Dr. Michael Rohan, Jr., who is fellowship-trained in spine surgery. 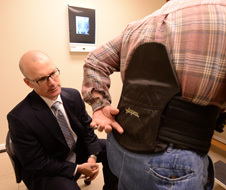 Dr. Rohan, Jr. specializes in the treatment of back and neck pain, including degenerative disease, spinal deformity (scoliosis) and spinal trauma. Northwest Florida Spine teams with affiliated physical medicine & rehabilitation specialists and affiliated spine therapists in the regions of Panama City, Pensacola, Destin and Fort Walton Beach in the Florida panhandle. These PM&R and pain management specialists provide injection therapy to exhaust non-surgical treatment options for patients of the spine center. Dr. Rohan, Jr. completed his fellowship in spine surgery at the prestigious Texas Back Institute, which in 1986 was the first and largest spine specialty center in the United States. During his fellowship, Dr. Rohan, Jr. specialized in minimally invasive spine surgery techniques that require the surgeon to operate through a one-inch incision using tubular retractors with tiny cameras and cutting devices in the tip. 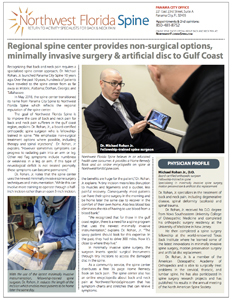 He was one of the first spine surgeons in the Gulf Coast Florida panhandle region trained in Mobi-C artificial disc replacement for herniated discs in the neck. 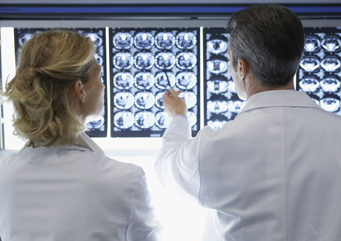 Northwest Florida Spine emphasizes non-surgical treatment options in advance of spine surgery, minimally invasive spine surgery and artificial disc replacement surgery that preserves the natural motion of the spine. In 2018, the spine center was one of the first to use the Mazor Robotic Surgery system for spine surgery.